This week the Lao community around the world lost one of its brightest treasures with the passing of Pom Outama Khampradith in Seattle, Washington. She was 42. A key figure in the Lao cultural reconstruction after the conflicts of the 20th century, she was well-known to across the country for her work in the Lao traditional arts and as the founder of the Kinnaly dance troupe. Born Chittraphone Pom Outama in 1971 in Vientiane, Laos, she dedicated her life to her people, and her love for her heritage was reflected in every aspect of her life. 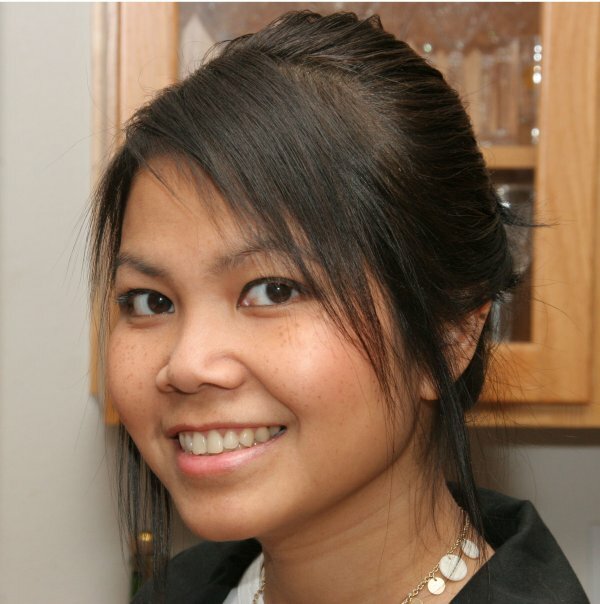 Professionally, Pom Outama Khampradith was the Director of the Lao Heritage Foundation’s Pacific Northwest Chapter, and also managed the public and community relations at a national level for the Lao Heritage Foundation. She was supportive of their ongoing mission to promote, preserve, and transmit Lao culture through the arts. Her last public appearance was the Lao Heritage Foundation’s fundraiser in Seattle. Pom Outama Khampradith and the original founders of Kinnaly, Latana, Veravon, Katherina, Phonetip, and Amela. 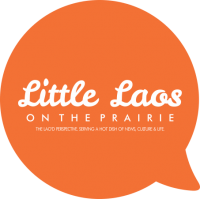 As the founding Artistic Director of Kinnaly dance troupe, for more than a decade she taught and inspired over 60 second-generation Lao American youth the art and joys of Lao traditional dance. She was known for her innovation and experimentation, incorporating contemporary Lao music and dance techniques into the Lao artistic repertoire. Her enthusiasm for the arts constantly inspired artists in many disciplines. She made clear connections between lifelong success and the arts as part of the Lao American renaissance. To her credit, many of her students remain active in the arts and the community. At the time of her passing she was looking forward to developing new dances that might one day be a part of the Lao dance tradition, carrying on the vision of our elders and building upon it. She lived near Seattle with her husband Phon William Khampradith and her son Ravi. She loved to read Lao and French literature in their original language. Some described her as “the quiet rebel,” someone who was never content with answers like “just because.” She always led first by example and had an unwavering commitment to her people. She saw her husband and son as instrumental in her success. She was always grateful they stood by her even during the hard times to pursue a shared dream that was grounded in a love of the arts. Community leaders across the United States have expressed their gratitude to her family for selflessly sharing her with the world. Pom Outama Khampradith and her husband Phon William Khampradith and their son Ravi. 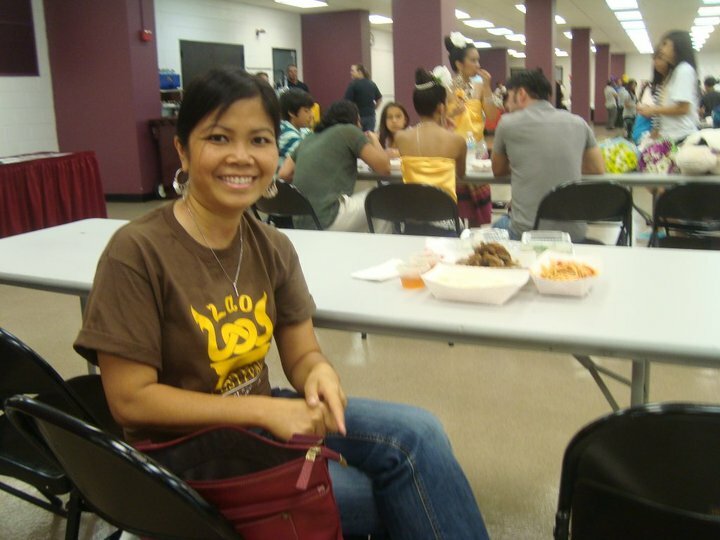 A casual moment at the International Lao Artists Festival in Illinois in 2010. She loved to spend her time with local community children, sharing and teaching her art of naathasiin, the Lao traditional dances. A dancer for over 25 years, Pom Outama Khampradith got her start from her friends, family and teachers in France when she left Laos in 1982. They inspired her and taught her how to appreciate Lao art, but more importantly how to participate within it and to contribute to it. Those lessons lasted with her almost three decades, and she set a high expectation for herself and for other Lao dance troupes nationally. Notably, she insisted that Kinnaly performances use live traditional Lao deum bands to accompany the dancers, rejecting pre-recorded music when possible. As a student at the University of Washington, she was part of the Lao Student Association, where she helped to organize events such as Boun Bang Fai, New Years Festivals and danced for “international festivals” organized by various institutions interested in diversity. During her time at the University of Washington, she was also introduced to the Lao Northern Association who would become one of the community organizations who played a role in life. The Kinnaly troupe performs at the International Conference on Lao Studies in Arizona, 2007. 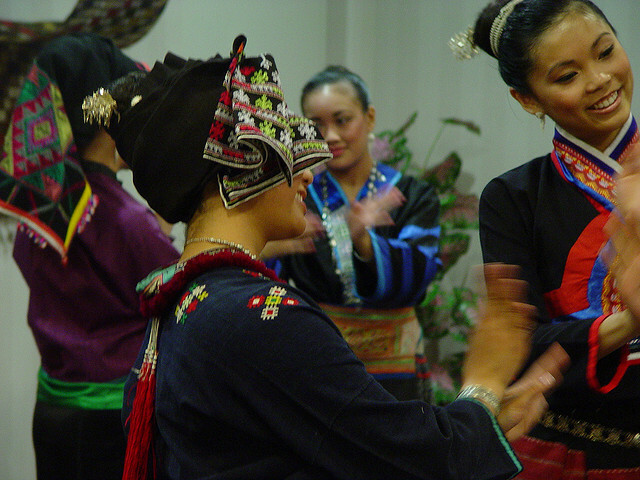 One of the first major performances of the Kinnaly dance troupe was at the History Symposium on Laos at the University of California-Berkeley in 2003. The success of that performance led them to perform at events and festivals across the US including several of the International Conferences on Lao Studies. The Kinnaly troupe was recognized at the International Lao Artists Festival in Elgin, Illinois in 2010. Pom Outama Khampradith helped to organize a groundbreaking Lao Cultural Exchange Program in Vientiane, Laos in 2011 and the Kinnaly troupe would return again to Laos in 2013. There, they met the faculty and students of the National School of Performing Arts. Their goal was to share ideas and best practices that could be passed on to the next generation of artists and community builders. It had not always been an easy journey for her. While she and her younger brother went to France in 1982, two of her older sisters went to Thailand and resettled in Hawaii with an aunt. Her father had been sent to a re-education camp in Northern Laos. For over 15 years they were separated, reuniting finally in 1990. Since then, she always empathized those who were also searching for their roots and identity. 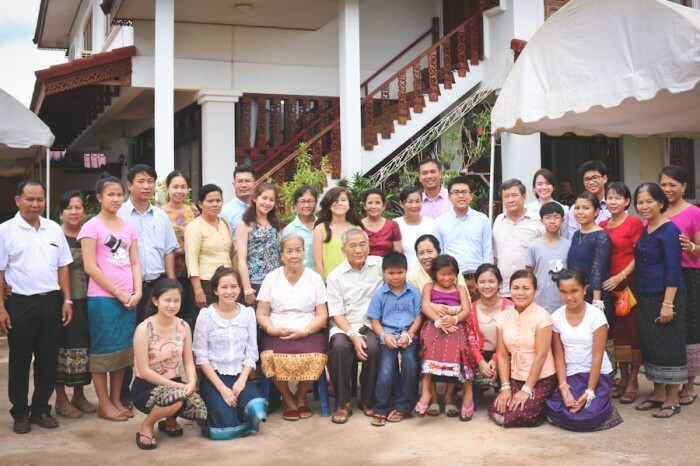 A 2013 family reunion in Laos. Pom Outama Khampradith is the third from the right in the second row. After high school, she studied at the University of Washington, and became involved with the student leadership, learning skills and confidence that she would use well beyond campus. She had the honor of training under Laos’ most celebrated dance master, Ajarn Kongseng Pongphimkham. As she formed her pedagogical method, she understood that her students needed to explore their heritage beyond dance. Her well-rounded dance curriculum incorporated the study of traditional Lao arts and crafts, Lao language and folklore. In addition to her skills as a dancer and teacher, she was well-regarded for her literary talents as both a poet and a short-story writer. Many of her pieces were featured in Lao Vision magazine and the literary anthologies of the SatJaDham Lao Literary Project. This includes her poem “I Learned to..,” her non-fiction story “Please Rewind After Reading,” and her prose piece “For you, I will…” In recent years she had begun to blog at “House on the Mekong,” sharing her reflections on life in addition to many of her favorite recipes from Lao cuisine. She hoped one day to complete a book of her short stories and other writing. She leaves behind an indelible legacy that will inspire generations yet to come. Such a loss to many communities. Thank you, Bryan, for introducing me to this vibrant person whom I would love to have known. Thank you for your hard work and inspiring me to keep culture alive through constant practice. Much Aloha Pom. So sorry for your loss. I have retained Pom’s name in my memory since I wanted to be involved with the Seattle cultural organizations and am so sad that the community lost such an inspiration. Please let me know how I can help with anything when you’re in Seattle.